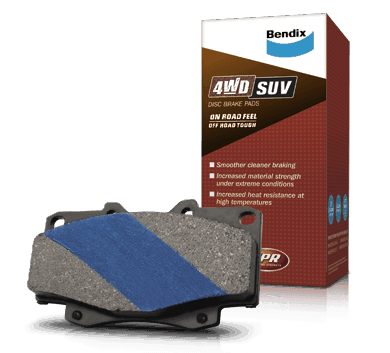 Bendix 4WD brake pads are specifically designed for 4WDs and SUVs for on road cruising and extreme off road conditions. Featuring the exclusive time saving Titanium Stripe, they deliver positive pedal feel from the moment you drive out of the workshop. The pads also feature EPR for extra strength, higher friction and greater heat resistance. Choose Bendix 4WD for confident performance under all conditions. Is Bendix 4WD/SUV the Right choice for your car?